Multi-award winning Pudding Cottage has been named both ‘Cumbria Cottage of the Year’ and has been the No. 1 rated property in the Lakes on Trip Advisor for the past 3 years meriting a 2014 Trip advisor 'Top Vacation Rental' accolade. The Times Newspaper also listed Pudding as one of its top 50 cottages in the UK in 2013 citing its great facilities for children. With its combination of pretty exterior, stylish interior and setting just a few hundred yards from the shore of Lake Windermere, it is easy to see why it’s an award winner. For pre-school families, there is a handy supply of nursery gear and toys and the fact there’s an excellent indoor and outdoor kids play centre just a few steps away makes it even more special. As if that’s not enough, the cottage is so atmospherically set, in the heart of Beatrix Potter’s Lake District with the lovely towns of Ambleside and Windermere within a few minutes drive, that guests would be forgiven for thinking that they might spy resident Jemima Puddle-ducks waiting for breakfast at the back door or Peter Rabbits hopping across the lawns! Tucked up an unmade lane, just a few hundred yards from the shores of Lake Windermere, the Lakeland stone cottage is in a group of barns which were built in the 18th century by the Earl of Lonsdale and boasts glimpses of the Lake from the front and of the communal landscaped gardens to the rear. 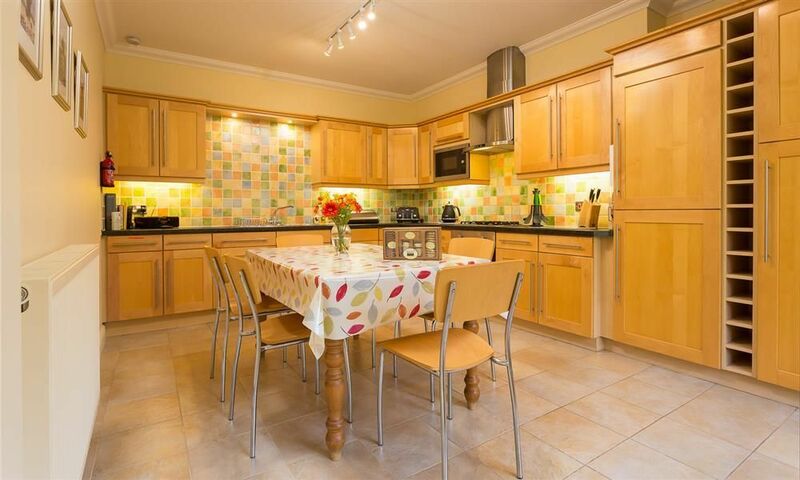 The spacious family cottage for six has been tastefully decorated with warm colours, furnished to the highest standards and equipped with high spec mod cons to offer luxurious yet homely 5-star accommodation. 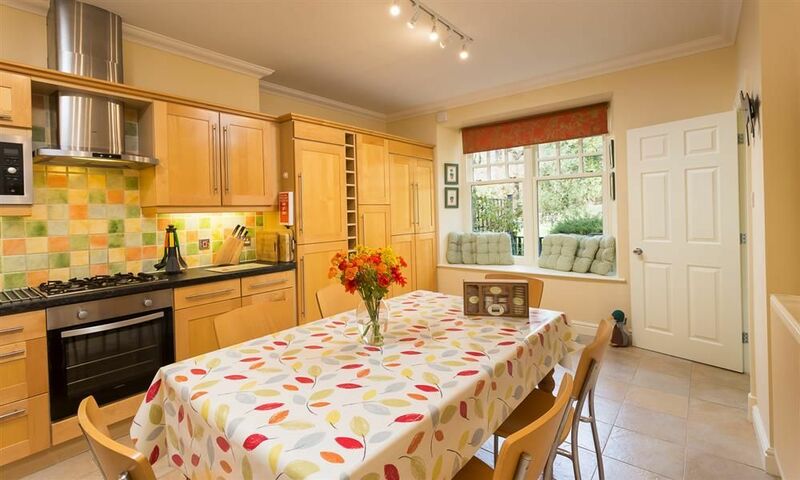 Cooking and eating together as a family is a pleasure in the traditional farmhouse-style dining kitchen and a wide window seat overlooking the lawn provides a comfy spot for a quiet cuppa. The bright and spacious living room offers plenty of space for children to play with the toys, games and craft box provided, plus there’s the bonus of a games console in addition to the 50” Smart TV, Blue ray / DVD and Bluetooth speaker, should any dramatic Cumbrian weather roll in. Each of the three bedrooms at Pudding Cottage has its own welcoming style with close attention to detail. 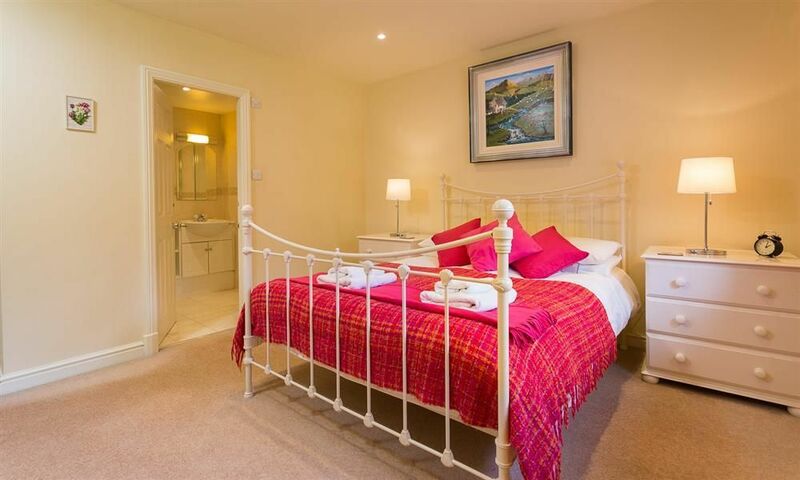 The master en-suite bedroom is in warm pinks and oranges with a white wrought iron bed, the other king size room has a New England twist and the other twin-bedded room is a glorious riot of colour! 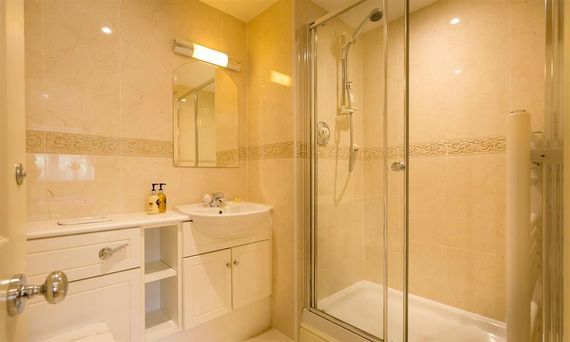 In the en-suite and house bathroom, hand-made soaps and luxurious toiletries are provided to soothe frazzled parents in a relaxing bath or shower. For playing outside, Pudding Cottage has a large, mostly, enclosed garden with a trike, ride-on and play tent among the outdoor toys, plus a fab adventure play area is just across the road at Brockhole – the Lake District Visitor Centre. 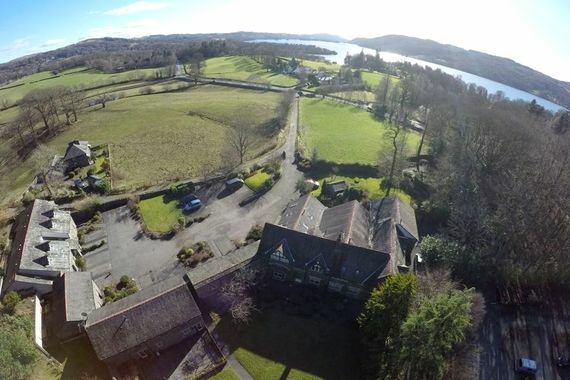 Brockhole is the most amazing asset for families with children with its new ‘Tree Top Trek’, zip rope down to the Lake, bike hire and huge adventure playground- you may never need to use the car! Guests can also hire boats here, have afternoon tea in the beautiful house and gardens and take a ferry ride across the Lake. 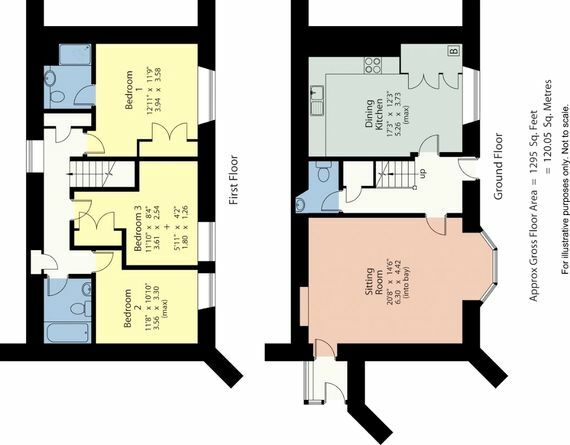 Pudding Cottage also has a large private patio terrace and BBQ, with outdoor dining table and chairs where parents can keep an eye on the kids at play while relaxing with a glass of wine. 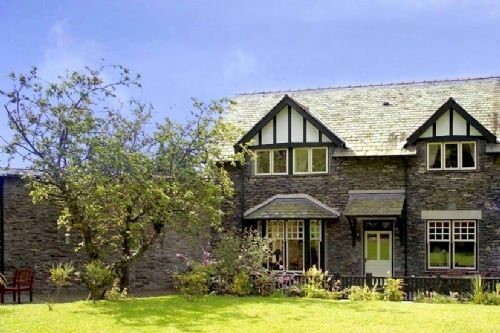 The cottage also has membership for five Adults, plus under five’s go free to Choices Leisure Club in nearby Troutbeck Bridge. The club has a swimming pool, Spa area with sauna, steam room and Jacuzzi (adults only). There is also a fully equipped gym and membership includes most classes. Planned for later in 2017 is an outdoor relaxation area and champagne bar. There is ample free parking. Pudding Cottage sleeps up to six plus a baby in three bedrooms comprising: one en-suite(shower) bedroom with a king-size bed and two twin bedrooms (each with two singles). Two travel cots are provided for junior guests. The kitchen is well equipped with the basics plus a dishwasher, microwave, fridge freezer and washer/dryer. 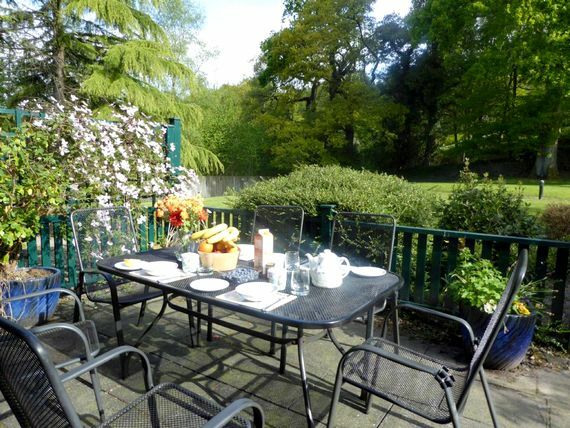 Outside, there are gardens front and rear of the cottage with the rear terrace having a lovely outdoor dining set. The property now accepts one well behaved dog. Pudding Cottage is in a prime location between the bustling Lakeland towns of Ambleside and Windermere, full of enticing shops, tempting tea rooms, family friendly pubs and superb restaurants, plus an excellent ‘Booths’ supermarket which prides itself on stocking the best local produce. Guests can buy everything they need in these two towns and much more besides! focused events and exhibitions throughout the year. At The World of Beatrix Potter in nearby Bowness-on-Windermere, all 23 tales are brought to life in a magical indoor recreation, complete with sounds and smells. 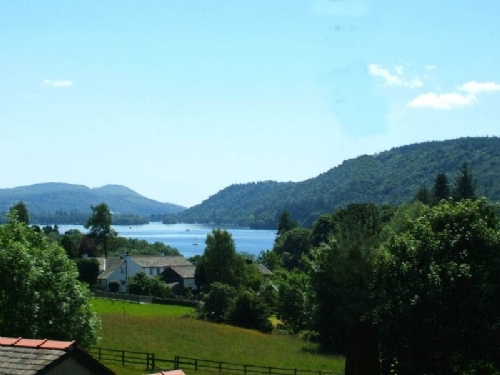 Other things to do here include hiring a rowing a boat to play Swallows and Amazons, boarding one the famous Lake Windermere steamers or visiting the Aquarium of the Lakes. Throughout The Lakes, of course, there are quaint villages to discover and breathtaking scenery to enjoy, whether walking, mountain biking, boating or tootling around in the car. For an evening out, don't miss a trip to Zaffirelli's restaurant, cinema and jazz bar in Windermere. Its great quality Italian cuisine comes with sophisticated interiors and child potions, plus live jazz three nights a week from 8pm (under 12s permitted until 9pm). Or, for a really special night, sample one of the many world famous restaurants in the area including the Michelin-starred Samling, Forest Side Gilpin and L'Enclume restaurants. Or the owners favourite restaurant The Old Stamp House in Ambleside. New owners Andrew & Sue Mellor bought the cottage in January 2017. 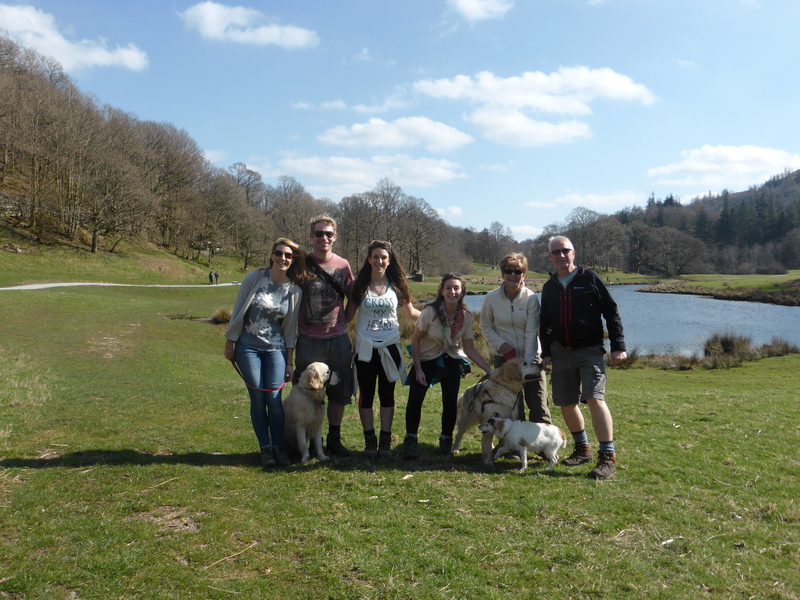 Living in Cheshire they have been taking holidays and walking with their family in the Lakes for years. With retirement looming they had always dreamed of a place of their own and started looking in 2014. When the opportunity arose to buy Pudding Cottage they finally felt they had found their ideal hideaway. Andrew & Sue are aiming to build on the good work of previous owner Jacky Morrison and maintain Pudding Cottage as one of the premium 5* holiday lets in the Lake District. At the heart Jacky’s success was her desire to ensure that their guests have a really good holiday experience with a focus on individual service which starts from the first point of enquiry. 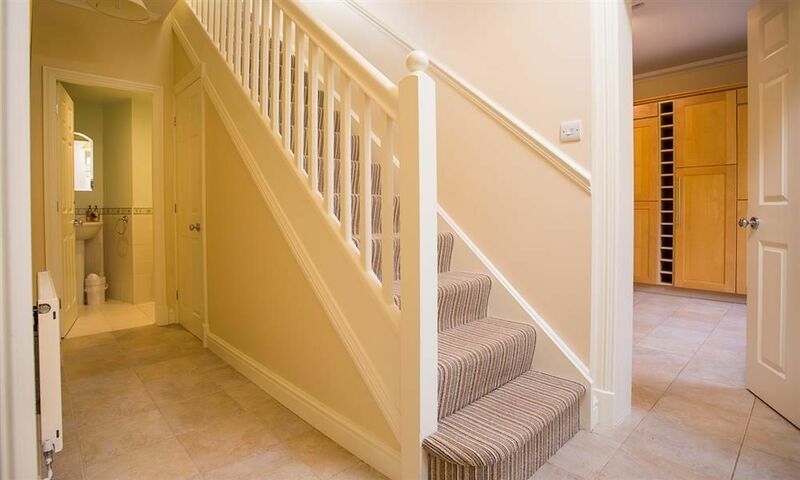 We want our guests to feel like they are walking into their own home but also have luxurious touches and little extras that make all the difference. For families with children – we have the philosophy that if the children are happy – then the parents can relax! We have even allowed dogs at the cottage for the first time so the family can be complete. 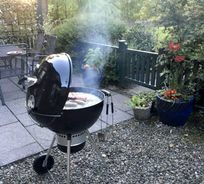 We provide equipment and toys for children at the cottage and also membership for 5 guests plus under five's go free to Choices private leisure club which we chose for its proximity to the cottage and its ample parking. Pudding achieved a 5 star rating by the English Tourist Board on its first inspection and every one since. 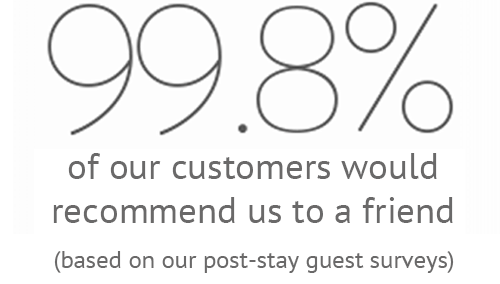 We have hugely loyal guests who return year after year and their feedback has gained us a number of awards for which we are enormously grateful . Its position - opposite the Lake and the Visitor Centre at Brockhole with its amazing adventure play area - if you have kids - you will understand! You walk in and it is like coming home! 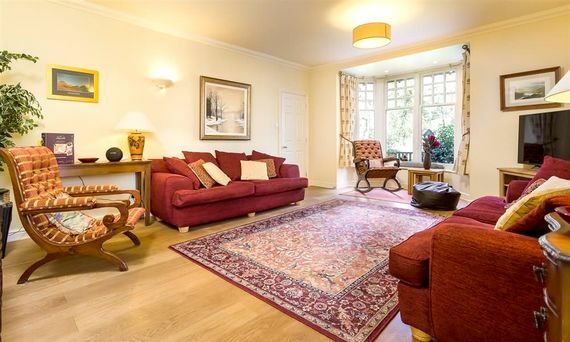 It's surrounded by wildlife which the kids go bananas over ! Ducks, deer, rabbits and birds. Mum and Dad love it and they all get to be together in one room. 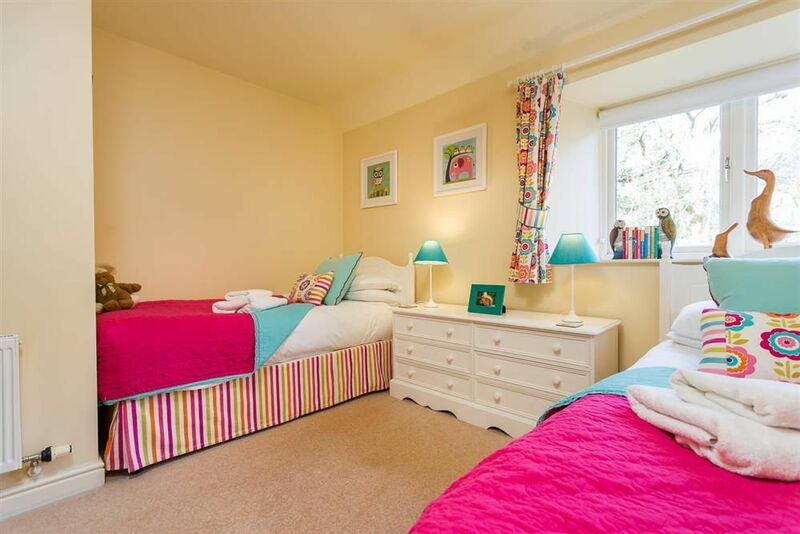 Sleeps 6 + infants in 1 X King size bedroom, 1 x double bedroom and 1 x twin room. Manchester airport is 1.5 hrs drive away. Windermere train station is just 2 miles away. 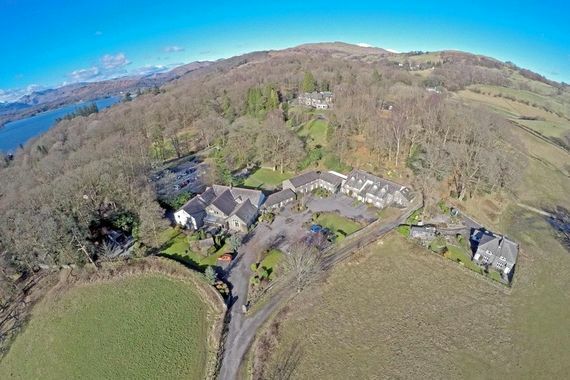 Brockhole Visitors Centre across the road from the cottage has a fantastic childrens play area, tea rooms and ferry links to Bowness and Troutbeck Bridge is just 1 mile away for shops and restaurant,Windermere and Ambleside are close by too. The choices leisure club has a heated pool with no restrictions on hours for children, a lovely spa and full gym. There is also ample parking and it is very close to the cottage. Choices leisure club is very near to the cottage. Indoor play gear includes toys, kids DVD's and a handy craft box. For outdoor play there is a trike, ride on, tent and outdoor play equipment. There is also an Indoor and outdoor play area at Brockhole visitor centre. There is a private patio and communal gardens. The owners of this property accept one dog. The owners provide 5 full leisure club passes ( under 5s go free) for the Choices Leisure Club at Troutbeck Bridge. 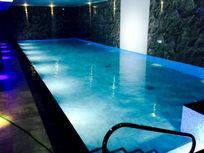 This club has a heated pool with no restrictions on hours for children, a lovely spa and full gym. 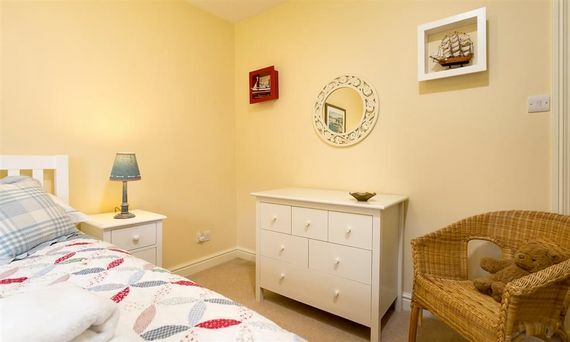 There is also ample parking and it is very close to the cottage. 2 travel cots are provided and an additional highchair is available on request. 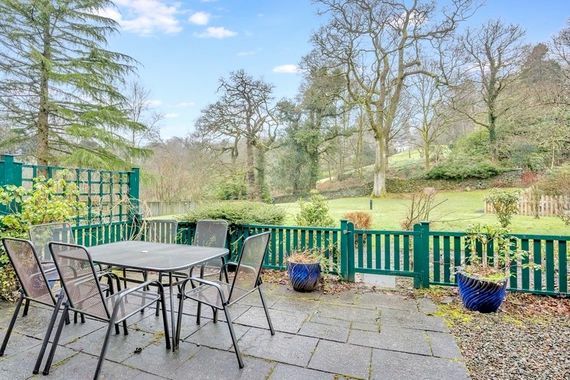 Perfect cottage in a great location! Has everything you'd ever need and is wonderfully comfortable. A really excellent cottage - brilliant location, really well equipped kitchen and a fantastic array of toys. We will definitely be back! We had an absolutely fabulous week at Pudding Cottage. It was perfect for our family (2 year old and a 2 month old, plus our dog!) with all the essentials provided. Our eldest daughter was totally in love with all of the toys on offer! We did a couple of day trips straight from the cottage without using the car (one walk, one boat trip) which was great seeing as we'd spent a fair few hours in it getting up to the lakes! The location was fantastic; a couple of minutes stroll from the visitors centre where there was loads of activities on offer (mainly aimed at older children, although there was a soft play which we didn't utilise). Also able to get a boat to Ambleside from there. Owners were extremely helpful when we had a problem with the TV reception after a storm, and it was rectified within 24 hours. Very close to lots of towns and things to do; our daughter loved the Beatrix Potter World at Windermere. We also made use of the leisure club passes to go swimming on the one rainy day we had. I would highly recommend Pudding Cottage to families, especially to those with smaller children and dogs! The cottage is spacious, yet warm and cosy, with excellent facilities - we made good use of the high chair, travel cot, Peppa Pig DVDs (alot! ), huge box of toys and enormous snuggly dog. Small softplay at the visitor centre and big softplay in Windermere were also handy for toddler-friendly rainy day activities. A perfect base for visiting the area! A charming cottage; so well equipped and a great location. We can't wait to return! Fantastic family-friendly cottage in a great location! Loads of extras (such as boxes of toys, shelves of books and DVDs) that make such a difference when you're travelling with young kids. We absolutely love this cottage! The location near Ambleside is fantastic. It is a beautiful place. We have already booked our third Autumn break for next year. 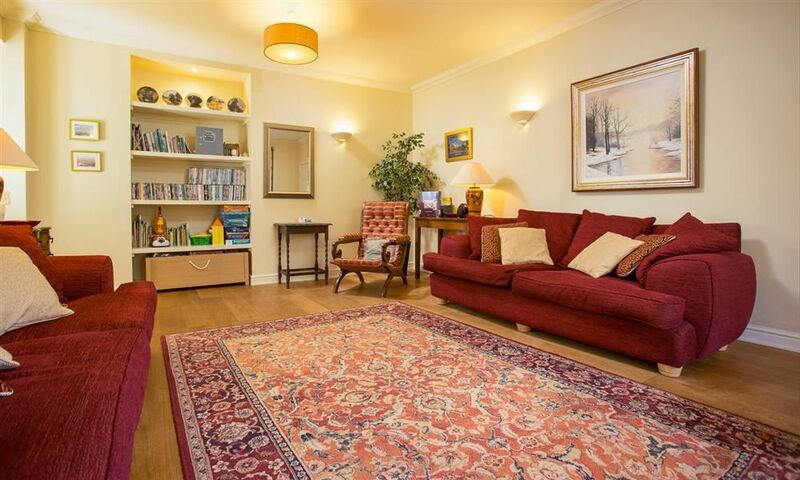 There is plenty of space for Grandparents along with our two young children. 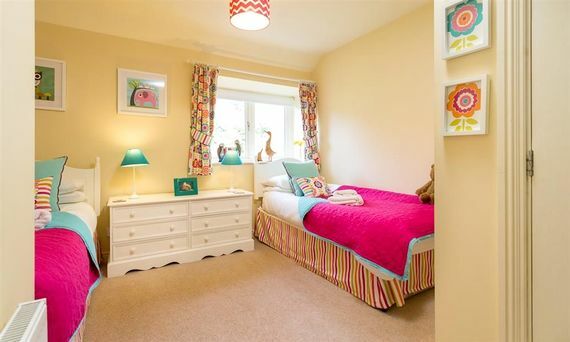 What a wonderful cottage for children and ideal location. Wonderful cottage. 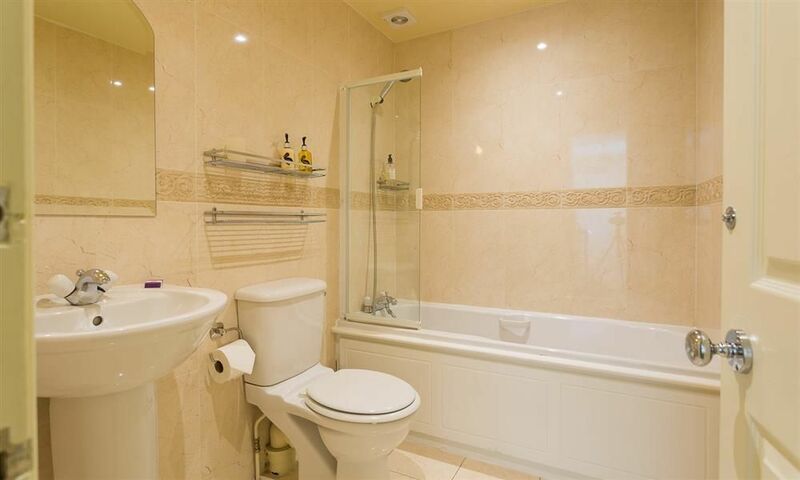 Fabulously equipped and situated. Highly recommended. 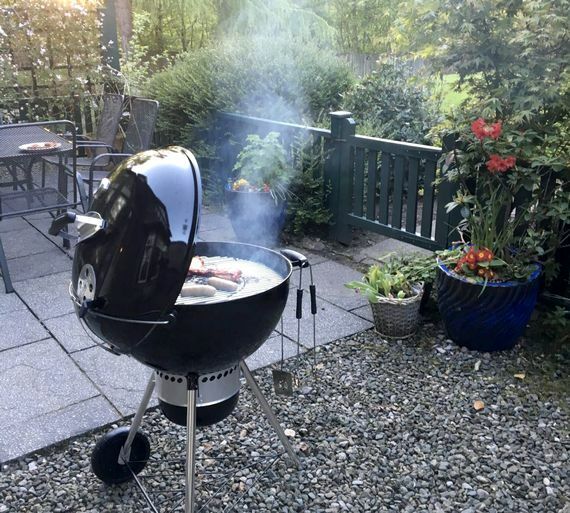 I can honestly say this is one of the best self catering places I have stayed in with my children, it was so well equipped for them and the baby that it made me feel like I was actually having a holiday, and I felt rested and happy. The kids loved it, we loved it, the local area is breathtaking and there are tons of lovely walks, cafes, and things to do. We can't wait to go back! We had a lovely time. 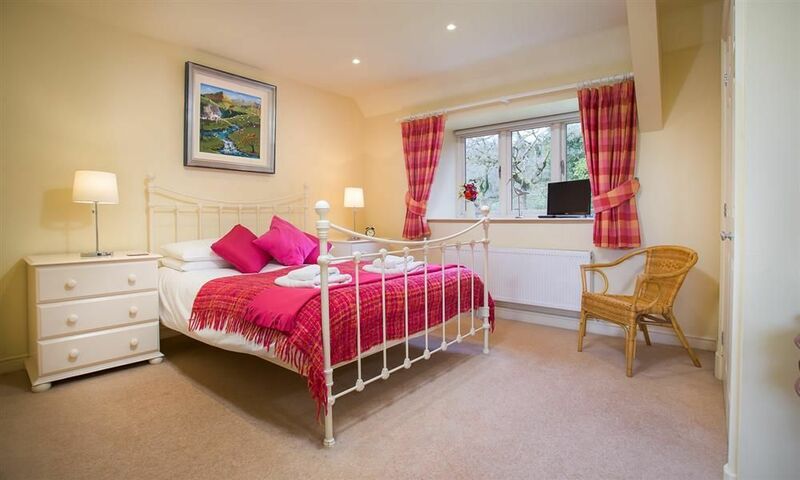 The cottage is gorgeous and so well equipped, all home comforts and more. Our 9 month old and 2 year old had a great time, we didn't even need to get more than half the toys out. The garden and walks from it are lovely and the soft play and outdoor play area at Brockhole are a real bonus. We have stayed at quite a few cottages in the Lakes and this, without doubt, is the best we have found. 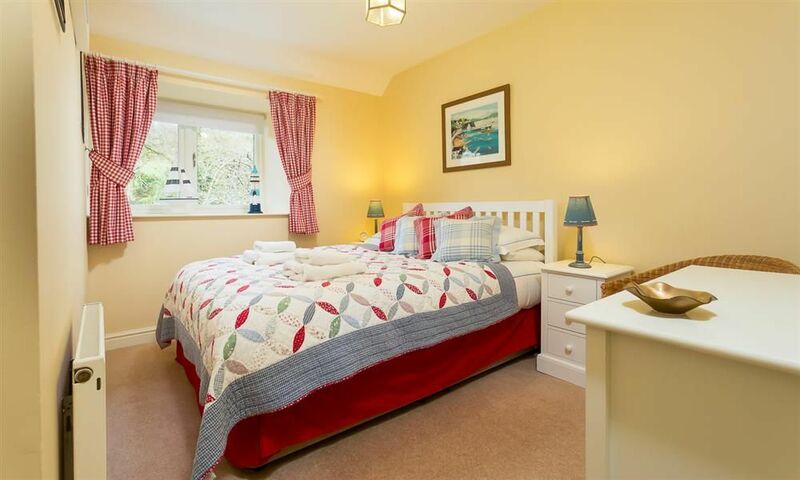 It's hard to sum up this fantastic family friendly cottage in a single quote - great value for money with so much to do for children of all ages, no matter what the weather. Lovely welcoming touches from the owners including biscuits, chocolates and toiletries make this feel more like a luxury hotel than a self catering cottage. We will definitely book again!